I just returned from a week long fly fishing trip to Bozman Montana with one of my sons. 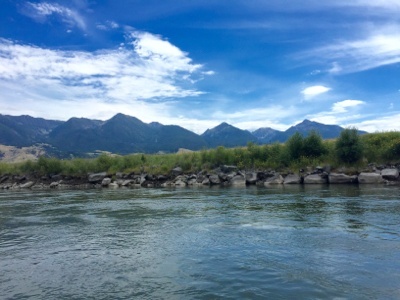 As the vacation was ending and real life began to set in I was struck by the similarities between fly fishing and creating an effective Inbound Marketing content strategy. This excursion was our first ever trip to Montana and the first time fly fishing, a sport we have always wanted to do. The planning stage for the trip began a few months ago with several internet searches, not unlike what people do every minute of every day. I decided to find an all-inclusive trip for lodging, food and fishing with an experienced guide. After searching for "The best trout-fishing state in the US. 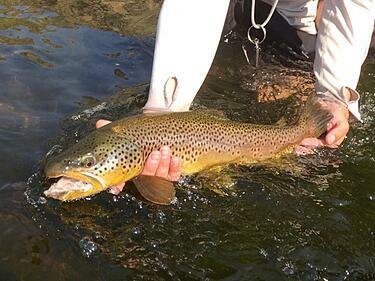 ", I came across a Forbes article that identified Montana as the best location for trout fishing. A friend told me that Bozman was the best location in Montana. 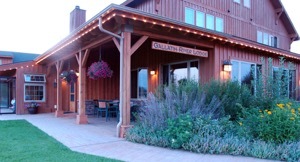 Based on his advice, I then searched for "fly fishing in Bozeman Montana" and I found the Gallatin River Lodge, gave them a call to explore their fishing packages and booked the trip. If you are new to Inbound Marketing, your business is found because you have great content on your website. However, not just any content will do. A strategy that models your businesses sales process is the most effective. It takes a lot of work to develop the right one for a particular target customer and market segment. Since I had never cast with a fly rod, I had visions of tangled lines, lost flies and being impaled by a hook during an errant cast. As one step in preparation for fly casting, I visited the local Bass Pro Shops and took advantage of their fly casting lessons. Once I participated in a few lessons, I had developed the basic skills, enough so that I thought I would not embarrass myself. Like learning how to fly fish, modern marketing involves preparation. It requires the creation of content for a company website that both educates the type of prospects your business is trying to attract and competes well for organic search ranking against the millions of other similar content that resides on the internet. The preparation stage involves gaining an understanding of how your businesses value proposition addresses important customer problems, ones that prospects are willing to invest money to address, and an understanding of the process that one of your expert sales professionals would use to educate and nurture a prospect until they are ready to buy. Knowing this was our first-time fly fishing, I made sure that the lodge knew we had no prior fly fishing experience and selected a guide that was adept at teaching newbies the intricacies of the art. We were assigned a guide named Ryan, who would be our guide for the four days. You could tell immediately that his seventeen years as a fishing guide would be a benefit to us from the beginning. Ryan impressed me at each moment of the trip. I had not anticipated how skilled you needed to be to tie the knots that hold the minuscule flys onto the fishing twine. His experience selecting the appropriate flys based on which bugs were hatching, and the appetite of the trout was magical. The impact of Ryan's experience on our satisfaction of our first ever fly fishing experience was significant. The process of creating a content strategy that will attract the most qualified prospects to your businesses website is well-defined. The benefits of hiring an expert who has developed many strategies with the experience first hand of techniques that work will deliver infinite benefits and ensure your business realizes a positive impact of the content creation investment. Once your team learns the process, a skilled marketer should be well equipped to produce additional content strategies for other prospects and target markets. 3) Location - where is your target looking for information (or for the fish - food)? Our guide had the uncanny ability to predict where the fish would be hiding. He would say, cast your fly, so it rides the water before a large rock, then recast just behind the rock. Or he would say to cast on the side of the river where the foam collects. By the second day, we were able to place our casts pretty well and follow his sixth sense, placed the flies with precision and the frequency of catching good-sized trout increased. With digital marketing, location is equally important but in a different way. The majority of high quality and timely prospects who are ready to buy are using search engines to diagnose their problems and identify solutions. The process of ensuring your answers to their questions and solutions is found, and appealing enough for business prospects is the difference between attracting business opportunities and not. Modern day Search Engine Optimization (SEO) is performed through producing high-quality content and optimizing it on your blog and website pages for search. The skill that a fishing guide applies when instructing a client where to cast is analogous to the skill a Website SEO expert performs on website content to increase its chances of being found. I never imagined that there were so many different types of fishing flies. Ryan pulled out box after box of flies and applied his knowledge of the time of year, fish behavior, which bugs were hatching to equip our rods with the right flies. 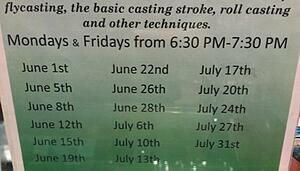 With so many choices, how can one guess the right set to make each cast count? His experience and the right set of flies optimized our chances of catching fish. His skill of tying the right knots onto each fly so that they were secure and nearly impossible to see made the appearance of the fly in water more appealing to the fish. Attention to detail with each step in the process of preparing flies for the fish maximized the number of fish caught each day. But nature has its way of throwing a wrench in the works and through some experimentation we sometimes changed flies if the fish were not biting as we expected. Making digital content appealing has two dimensions, its visual appearance on the website page and the alignment of content topics with your prospects wants and needs. An effective content strategy will define a set of topics that may address the questions and the best-practice solutions your business offers prospects to address their needs. Creating content for the right topics is like selecting the fly that the fish want to eat. Ryan prepared each fly and the line to make each fly visually appealing for the fish. The same must also be done for the content when placed on your website and blog. Readers have a short attention span. If the content is not high in quality and visually appealing, they will simply leave the page and your website. I could not have imagined before our trip the quantity of fish nor the size of the largest fish we caught. 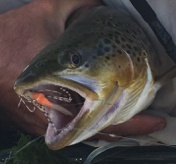 During day three, while dry casting for trout, a rather large fish took my fly. It was a struggle to keep my composure as I stripped the fly fishing line in while attempting to control the path of the fish. Ryan offered some words of encouragement (and specific instruction) and after a bit we landed a 24-inch brown trout on the boat. I think at that moment, the adrenaline caused us to shake as we marveled at this large beauty. Several pictures later and a few high-five's and we released the fish hoping some other lucky angler gets to recapture him with all of the same excitement and thrills we experienced. It is hard to land clients with any business. With the right content strategy, optimum placement, makes the content appealing and implement SEO, so it is found through search are the tools that marketers can use to aid sales teams to catch the big one (client). Sales teams need qualified leads that are ready to purchase your product to address the compelling need that your business addresses. Inbound Marketing armed with the right content strategy creates the right conditions to build a large and progressing pipeline of high-quality opportunities. If you are interested in having a great time fly fishing, then I reccomend you head to Bozman Montana. Should you require a high-quality content strategy and help implementing Inbound Marketing, then please consider Bristol Strategy.